Some PR agencies fall into a trap of chasing only only large, brand-name clients. This is in part because like attracts like; large brands can bring more of the same, they reason. A PR firm may also think that doing media relations for well known brands can be easier than work for unknowns, because journalists are eager to cover them. The truth is actually a bit more complicated — very large clients can bring challenges of their own — and in my experience, it’s good to have a healthy client mix that suits an agency’s staff and size. But a more interesting point is that a company doesn’t need to be huge to be noticed. In fact, there are many ways in which SMBs can benefit from strategic public relations, and they sometimes don’t realize it. A well-crafted PR campaign can be even more powerful and productive for a smaller organization. Here are some reasons why. Small businesses today are empowered through digital technology. There was a time when starting a business was expensive and intimidating, requiring legal and accounting help, office space, and a friendly banker. Today, some entrepreneurs need only LegalZoom, a WordPress site, and possibly a shared office space. Technology is a great equalizer for a business. Even a tiny company can challenge competitors for customers, employee talent, and visibility. 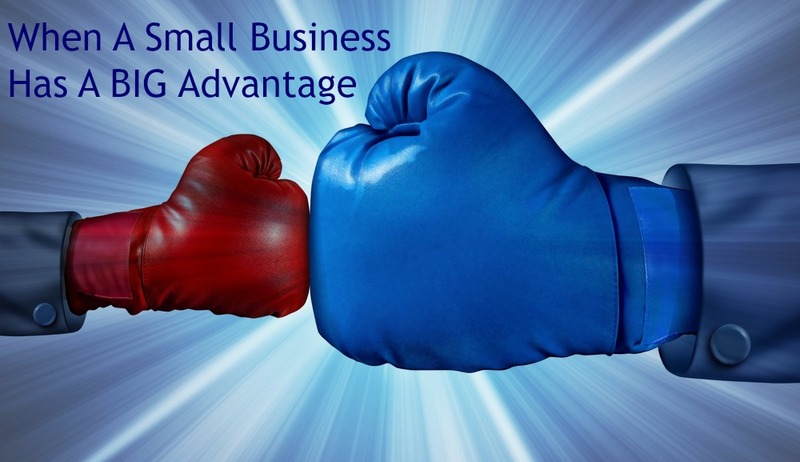 The stigma of being the “little guy” has faded, to be replaced with descriptors like “nimble” and “upstart.” This appeal applies to the media who cover business, whether they’re on the SMB beat or not. Smaller companies can seize sudden PR opportunities. When a client is in a position to make fast decisions, they get more done and maximize the PR investment, whether there’s an outside agency team involved or an internal expert. That translates into faster and better outcomes for the investment. It’s also a bonus when a nimble team opts to jump on a breaking news story with their own comment, point-of-view, or real-time marketing push. This type of “newsjacking” is harder in a large company, where it often needs to be approved by several layers of management. Smaller businesses have more interesting stories. The background and history of a startup or a smallish company can be more accessible than that of a large organization. Small companies and their senior management tend to be relatable, and they’re likely to have a startup story or a transition experience that appeals to media and prospective customers. Whether it’s a story about two college buddies who started a business together (which is the case with one of our more successful clients), or a refugee from a mega-company who left to pursue a great idea, the narrative can be the foundation of a successful PR campaign. Smaller companies can be niche players. If you can’t dominate the conversation, then change it…or invent a new and narrower one. According to Steve Tobak of Inc., “starting with a niche is one of the most powerful ways to go viral and ultimately take down even the biggest giants.” He points out that Mark Zuckerberg didn’t set out to start a social site that would grow to two billion users; his goal was to build a college networking community. Some of today’s largest business categories started out as niches. The challenge for the smaller business – and its PR and marketing team – is to identify the right area and positioning for its product or service. They’re part of the community. This can depend on industry sector and geography, but most smaller companies are deeply involved in their local community as well as the relevant industry organizations. And an SMB located in a smaller city is far likelier to attract the attention of local press than a behemoth. Even in larger cities like New York and Chicago, smaller business can attract vertical media attention by becoming involved in neighborhood events, participating in industry organizations, and building a social media community around Facebook or Linkedin, depending on the customer base. We represent several midsize companies in technology who are giants within relevant industry organizations like adtech, supply chain software, or 3D printing services. Everyone likes an underdog. With a smaller client, a PR strategist has the opportunity to adapt one of the more powerful storytelling archetypes we know – the David v. Goliath myth. That story has unfolded in many ways, for an enormous variety of clients and brands, from lean startups to retail chains. It’s a time-honored marketing strategy for a brand that’s actually #5 or 6 in a category to position itself as a #2 to the industry leader, and it often works beautifully. Let’s face it, everyone roots for the “little” guy, even when he’s not so little.